The Institute accepts applications for Fall, Spring, and Summer terms on a rolling basis. 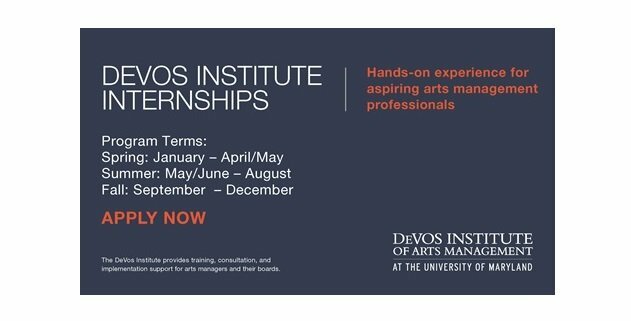 The DeVos Institute’s competitive fellowship program provides intensive training for executive-level arts managers from around the world for four weeks each summer for three consecutive years. Fellowship Interns work closely with Institute staff to plan and execute events, seminars, and site visits in Washington, D.C. and select east coast cities. Fellowship Interns gain hands-on experience in program & event management, travel management, and program evaluation. These positions are ideal for individuals with prior logistical or event management experience and a genuine interest in arts management practices around the world.